Isha Ambani wedding: Did you miss the gorgeous details on the invitation card? 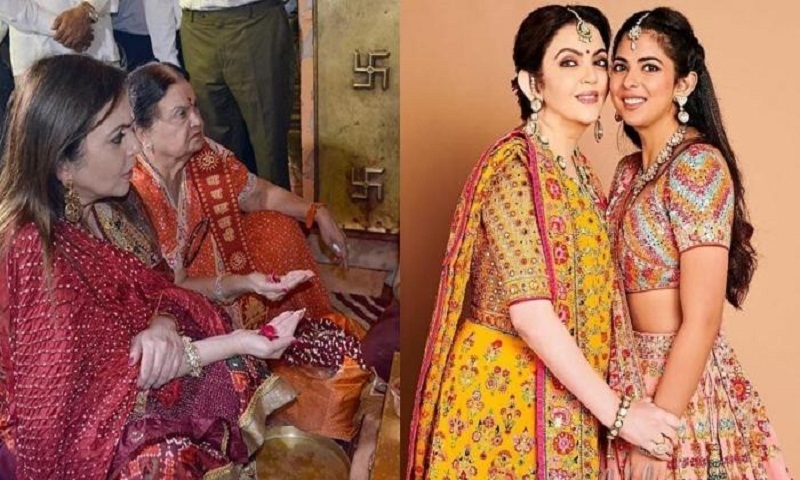 Isha Ambani — the only daughter of India’s richest man, Mukesh Ambani — and Anand Piramal’s pre-wedding celebrations are taking place in Udaipur (with a rumoured performance by US singer Beyoncé on Sunday), while the actual wedding ceremony is slated for December 12 in Mumbai, at the family’s luxurious 27-story, 570-foot-tall, 400,000-square-foot home, Antilia. After Priyanka Chopra-Nick Jonas and Deepika Padukone-Ranveer Singh’s gorgeous weddings in Jodhpur and Lake Como, respectively, we’ve been eagerly awaiting the Ambani wedding. In November, Isha Ambani and Anand Piramal’s wedding invitations reportedly went out to their guests, including Nick Jonas, Priyanka Chopra, Shah Rukh Khan, Gauri Khan, Janhvi Kapoor, Karisma Kapoor, Katrina Kaif and Vidya Balan, among other celebrities, who are in the City of Lakes for the pre-wedding festivities. Since then, photos and videos on social media have revealed the elaborate design of the wedding invitation; reportedly worth Rs 3 lakh, it is beautiful, unique, and full of interesting details that will have your heart stolen. September 2018 saw Isha Ambani get engaged to Anand Piramal at Lake Como in Italy. And while the celebration was a magical affair — all designed and conceptualised by Italian luxury fashion house Dolce & Gabbana — the imminent high-profile wedding is expected to echo the same glamour and opulence. Moreover, the ornate design of Anand and Isha’s elegantly crafted wedding invitation — complete with tons of blush, gold and florals — fit in perfectly with their regal destination wedding. The invite design was the perfect marriage of personal and formal and featured a chant, and the Om symbol around a monogram consisting of Isha Ambani and Anand Piramal’s initials, ‘IA’. On opening, Isha and Anand’s wedding invitation played the Gayatri Mantra, and featured a note from the couple seeking the blessings of goddess Gayatri. However, the most special part of the invite was a handwritten note from the bride-to-be on behalf of herself and her fiancé, where she pays an ode to their grandparents, their greatest “role models”. The card also featured four 3-D flowers that “personify qualities and values” that Isha and Anand’s grandmothers embody — the Lotus dedicated to “Kokila Mummy”, the Hibiscus to “Purnima Nani”, the Rose to “Lalita Dadi” and Frangipani to “Arunika Nani”. Isha and Anand’s sumptuous wedding invitation also consisted of another pink box with golden accents containing four smaller boxes with gold-plated gifts, reports Hindustan Times.